“Treat Your Man Like a Dog…And Live Happily Ever After” asks women who love their dogs to observe how much kinder they are to their beloved canines than they are to their men, then shows them how to improve their relationships by being just as loving to their mates. With a foreword by Fred Luskin, Ph.D., author of “Forgive for Love” (HarperOne, 2007), the book emphasizes kindness, forgiveness and understanding. After a short quiz, it explores eight different behaviors women can adopt: letting a man play and have friends; praising him instead of criticizing him; accepting that his nature is different from a woman’s; giving loving attention that will discourage his desire to stray; caring about his health and well-being; communicating by talking less and doing more; and choosing to be kind, patient and forgiving instead of bitter, exasperated and resentful. It ends with “Relationship Wisdom from the Tao of Dog,” a chapter explaining how dogs can give women the keys to love, joy and positive energy. 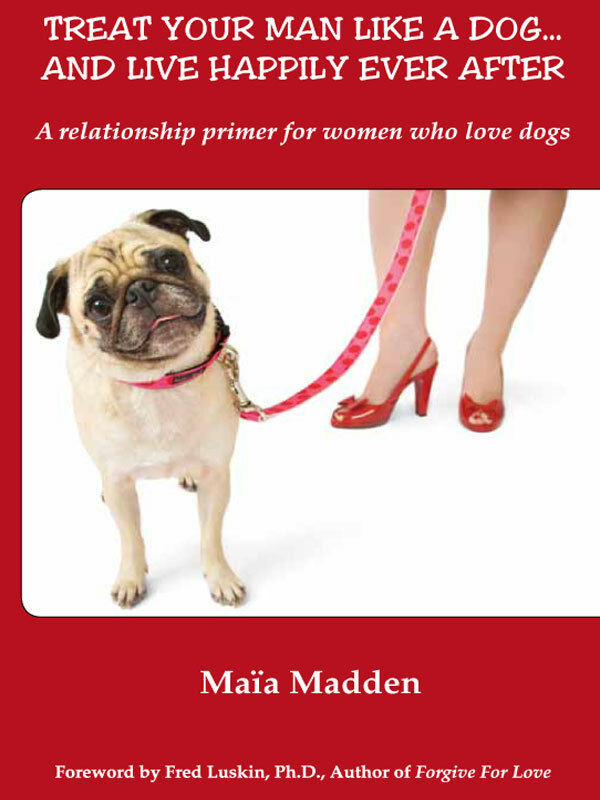 Subtitled “A relationship primer for women who love dogs,” the book is in no way derogatory to men. On the contrary, it reminds women that most men are sensitive human beings who deserve at least as much affection and attention as do their dogs. Whimsical yet empowering, “Treat Your Man Like A Dog…And Live Happily Ever After” uses humor and real-life anecdotes to illustrate how instinctively women give unconditional love to their dogs and how easily they can learn to share the same kind of love with their partners. By challenging women to take a hard look at themselves, it uncovers a simple path toward creating greater happiness in their relationships. You can purchase the book online from Smashwords in multiple eBook formats at https://www.smashwords.com/books/view/125391.